Need a gluten-free or dairy option? Look no further. Of all the kugels out there–potato, broccoli, sweet potato, and even carrot kugel–sweet noodle kugel is by far my favorite. Some are studded with raisins and cinnamon, some with dairy, some with cranberry. 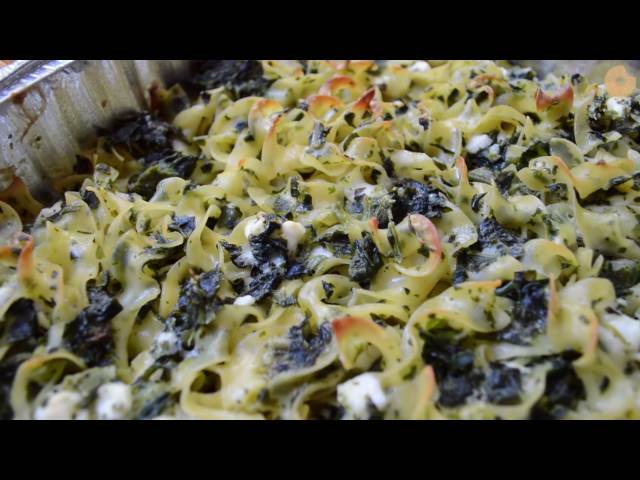 But we thought it would be fun to get a little wacky with noodle kugel and add some savory flavors, too. So, we dreamed up four–that’s right, four–different ways to make noodle kugel, including one gluten-free, dairy-free option! 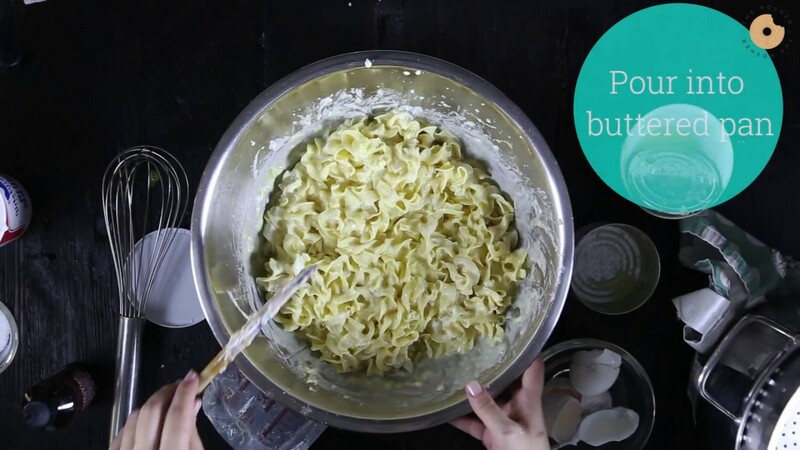 So go on and get crazy with your noodle kugel and enjoy these four fun flavors. Preheat oven to 350 degrees. Grease an 8-inch oblong baking pan. 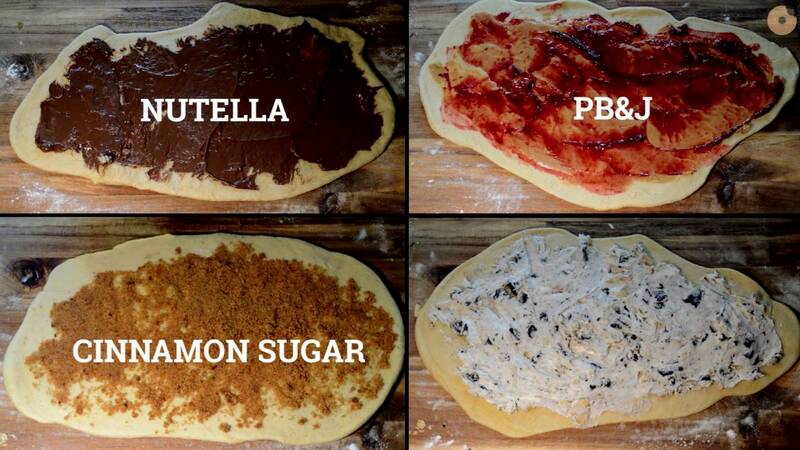 Mix in eggs and other ingredients. Pour noodle mixture into greased baking dish. Note: For classic kugel, top with 1-2 cups crushed cornflakes. For mac and cheese kugel, top with 1 cup bread crumbs. Bake for 35-40 minutes or until just golden on top. Can be made 1-2 days ahead of time. Using vegetable peeler (or spiralizer) create long zucchini noodles. Add to large bowl. Mix in 4 eggs, fresh basil, salt, pepper and 1/4 cup gluten-free flour. Pour zoodle mixture into prepared pan. Bake for 35-40 minutes or until just golden on top, and middle is just set.